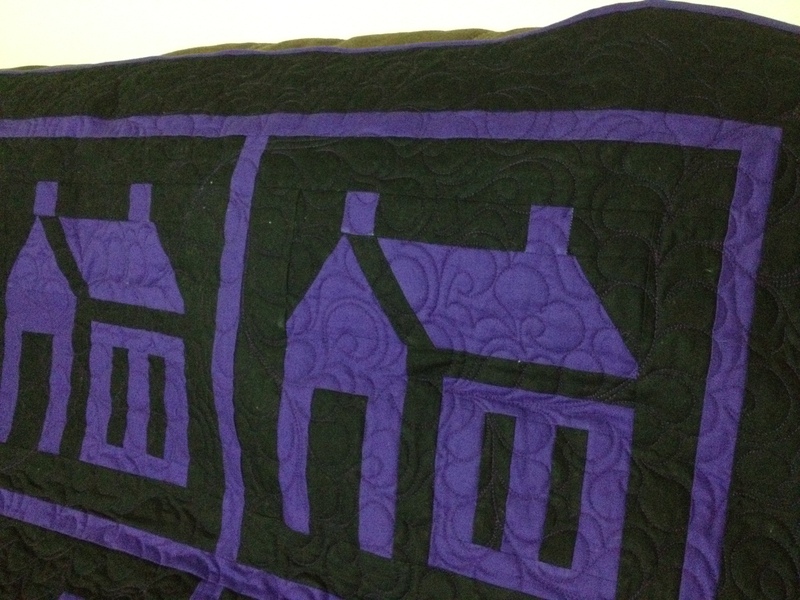 The Schoolhouse Quilt is back!! 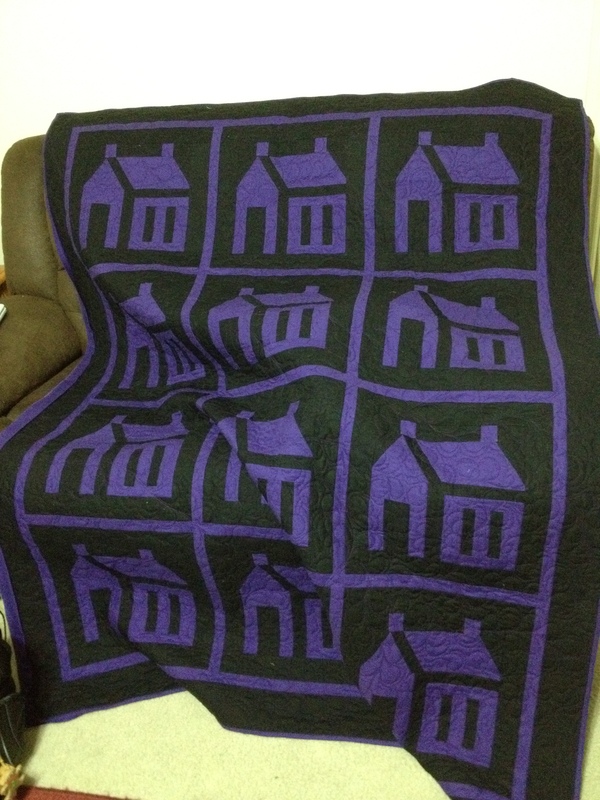 I was lucky enough to get a call from my quilter on friday, she said my Schoolhouse quilt was complete! Yeah, me!! I picked it up at lunch and brought it home with me, full of promise for getting it bound and hanging on the wall. Alas, It was not to be as I was still on-call for work and had a VERY busy weekend. 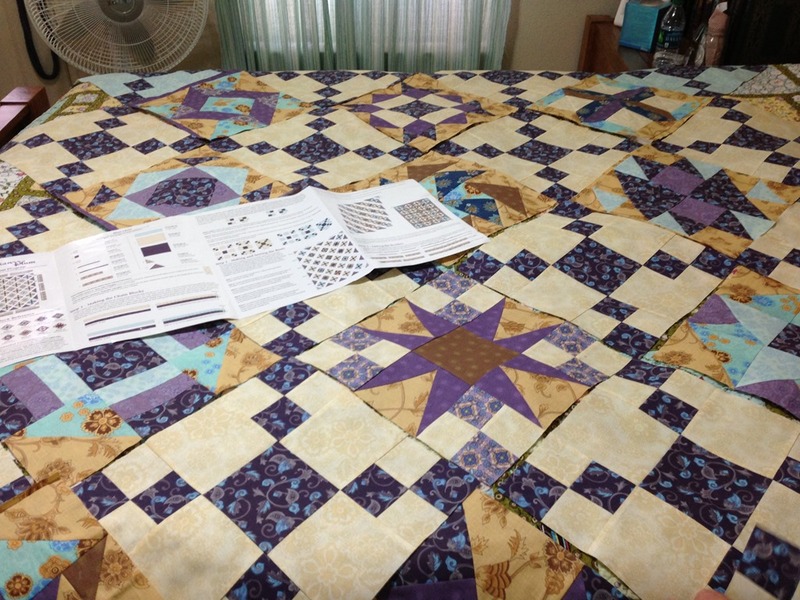 I did however manage to finish binding three of the sides and with only one side left and me not being on-call anymore I’m certain I can get it completed tonight. I really enjoyed making this one and can hardly wait to get it hung. Here’s another picture of it close-up. What a busy weekend! 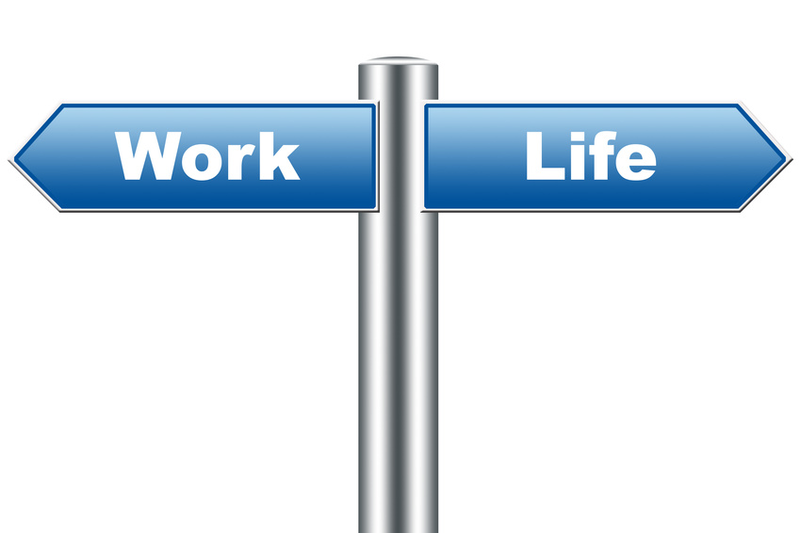 I completed a lot of work for my company… and for my own company. I knew that would sound a little weird! 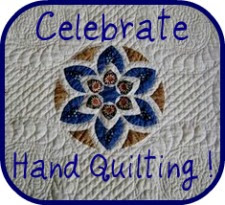 What I mean is that I had to “work from home” most of the weekend, but that I also completed a lot of work for BistroQuilts as well. As the busiest weekend that I’ve yet had, I really didn’t have a chance to post up anything that I accomplished. 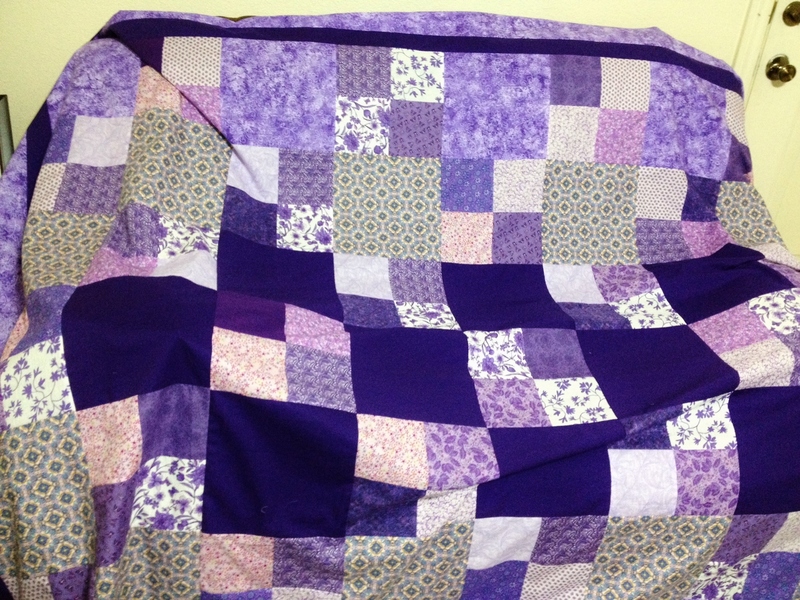 The purple quilt that is now completed for my daughter Amanda is simple but very beautiful. 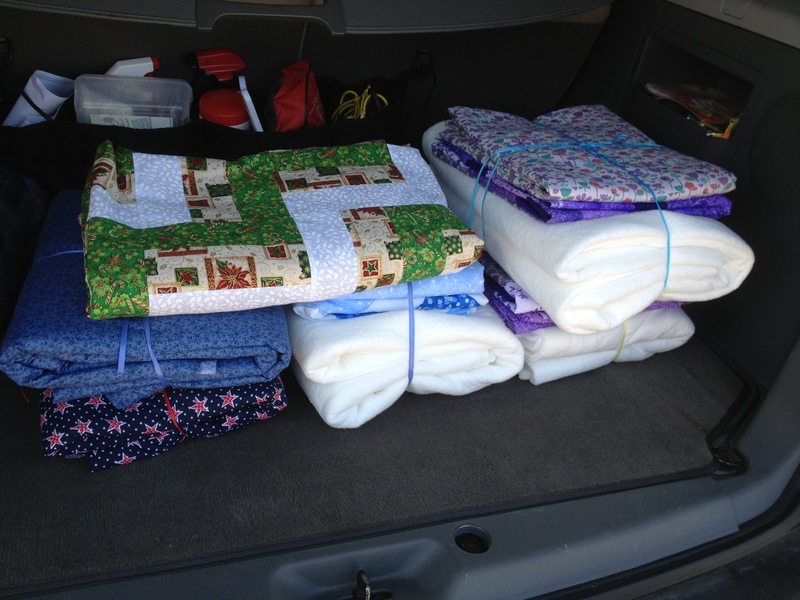 I’ve taken pictures, but they are slightly wonky and don’t show how nice it really is. I have to send it off to the long arm now, but will have it back and bound by the time her birthday rolls around. Here are the pics, even though I’m not too happy with the how the pictures turned out. 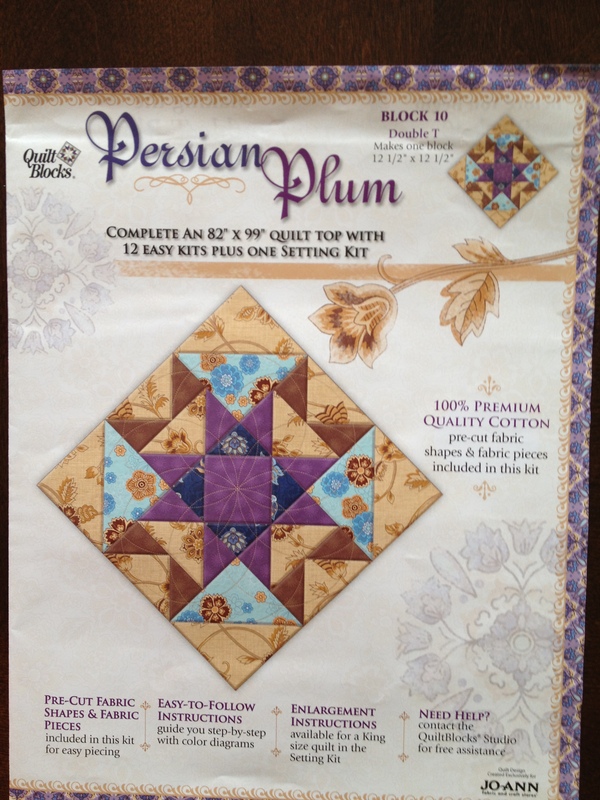 I also finished two of the persian plum blocks that I’ll be posting up tomorrow and then later this week with the accompanying reviews. 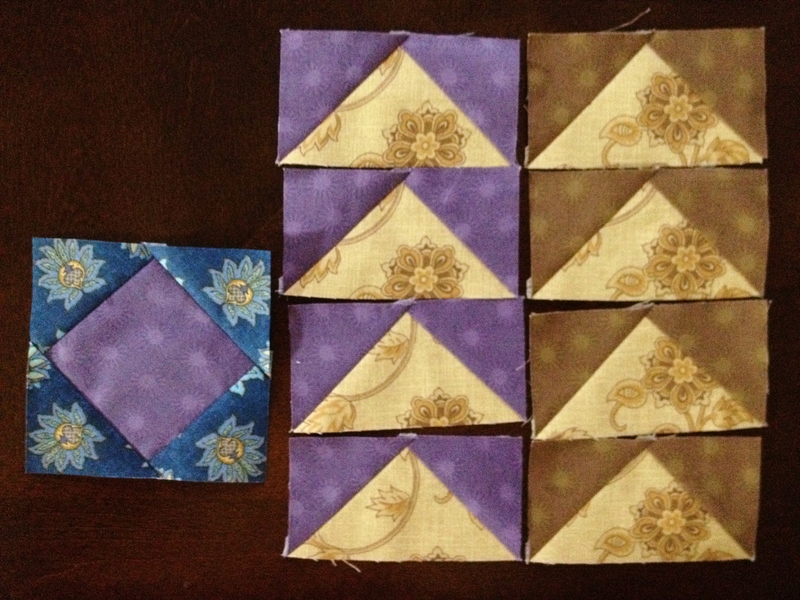 I cut out the fabric for the additional 10 blocks needed to finish the blue pinwheel quilt as well. 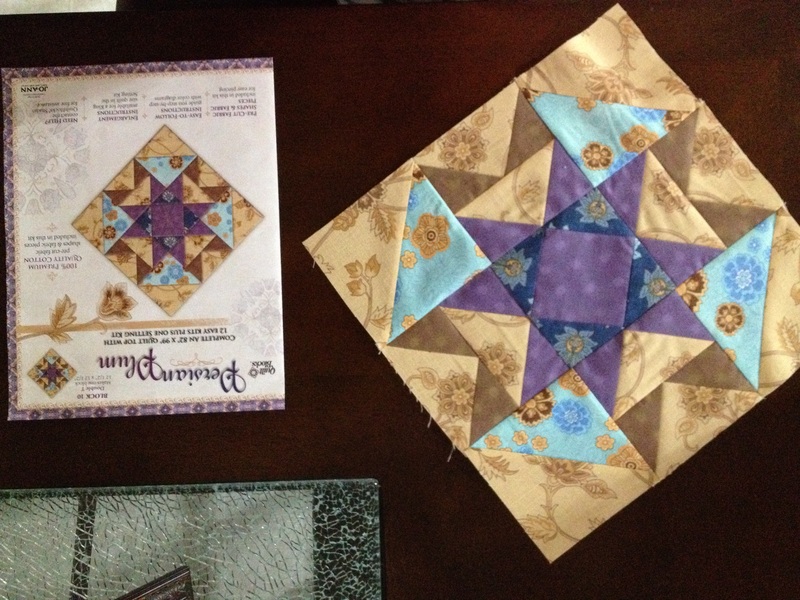 Those blue pinwheel blocks I’ll be starting to sew together tonight and should be able to finish that quilt this weekend and start on the Christmas quilt that I’m dying to make. 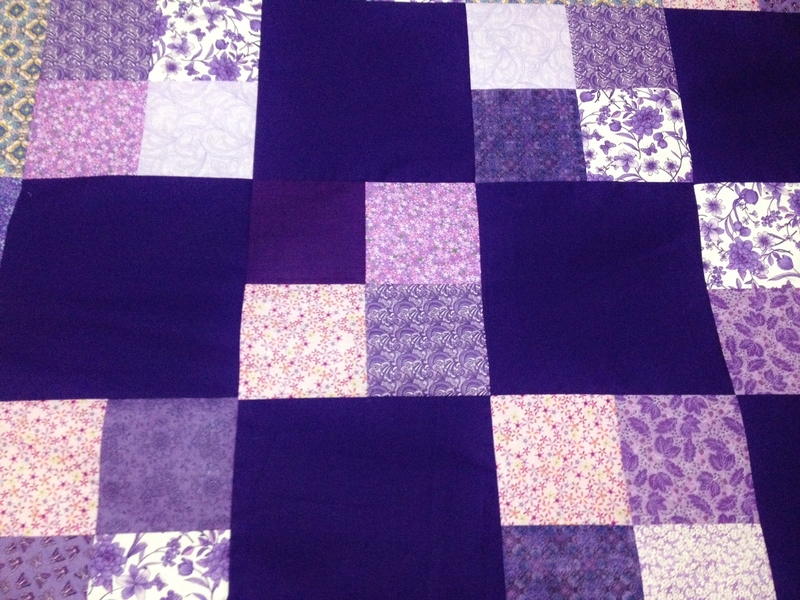 In other news, Kay is finishing her version of the purple explosion quilt. 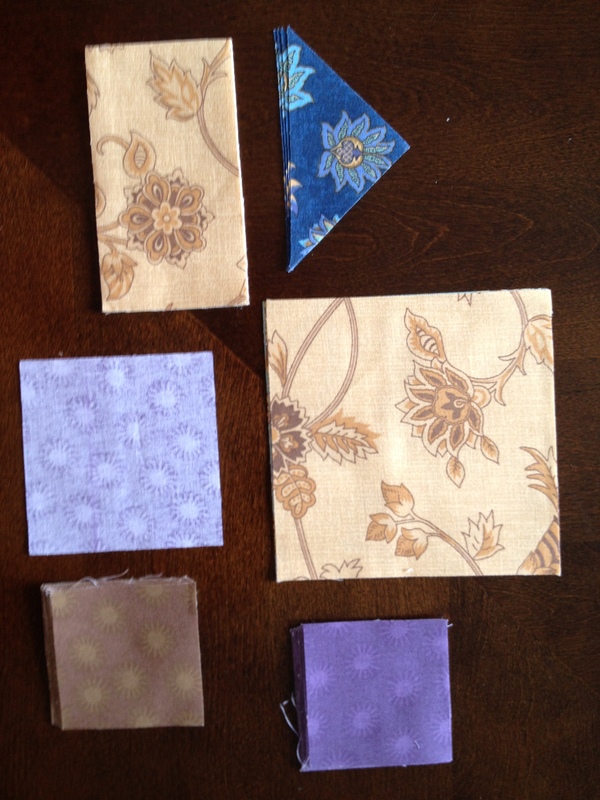 I really can’t remember if I’ve mentioned, that is the name we’re using for the purple quilts… Purple Explosion! 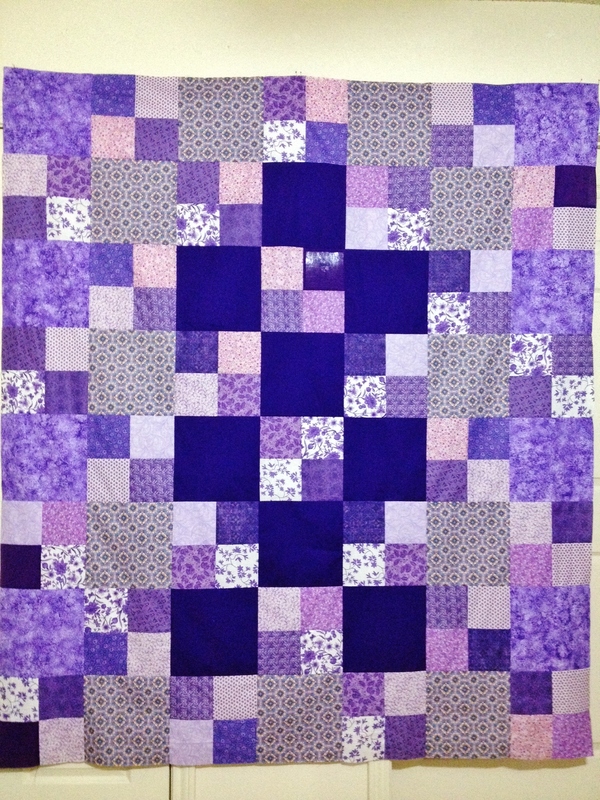 When I talked to my daughter and told her what we were doing, I explained that we used almost 20 different variations of the color purple and we both loved it so much, we knew that we needed to make one to be able to keep at home. When I finally got to my computer to post this up, I was astounded at how much spam had been sent to my site and caught in the spam filter… I guess some people had a little more time on their hands than I did.